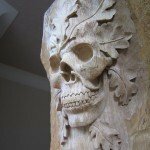 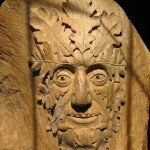 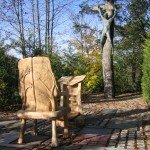 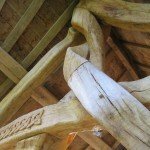 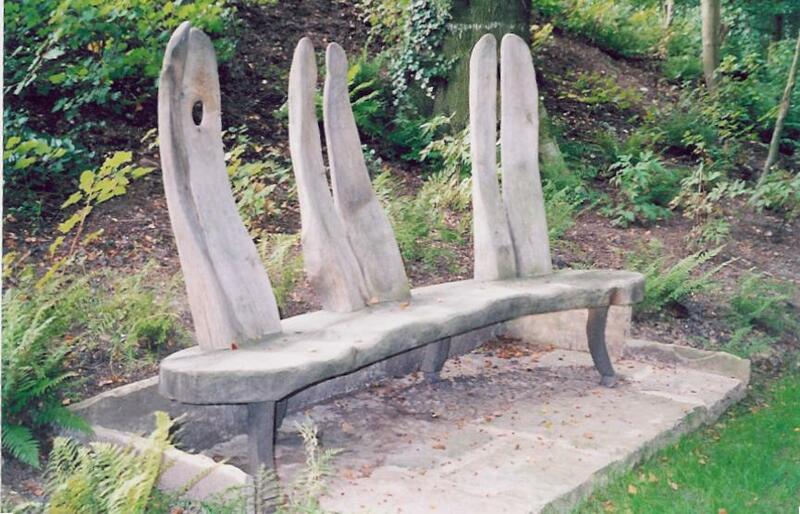 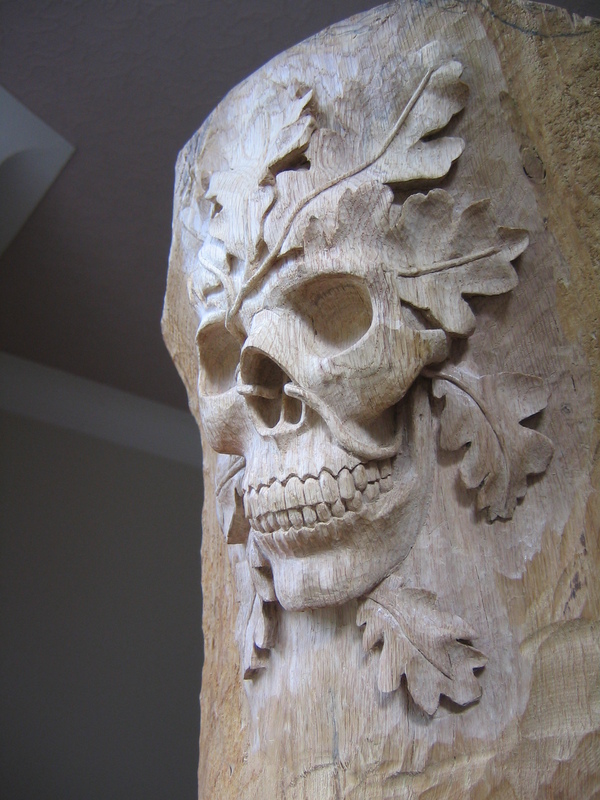 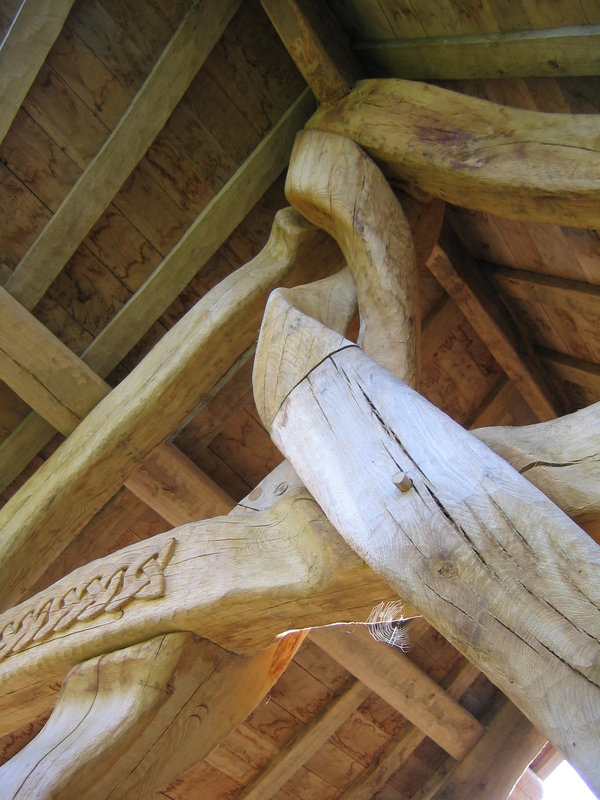 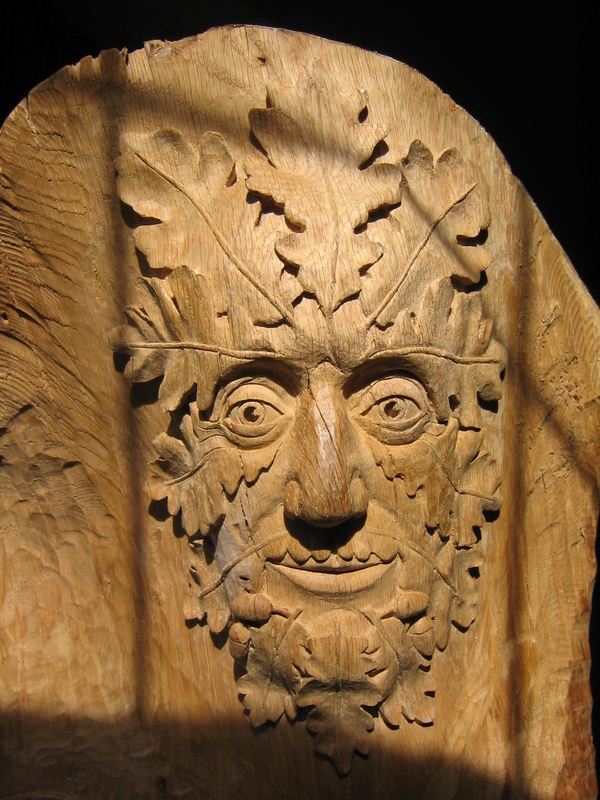 This initial idea became ‘The Cruck Spire’, Altham Oak’s first handcrafted oak structure for the grounds. 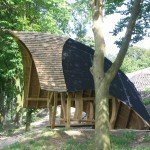 The last – and most expensive – was the eye-catching Lakeside Shelter, an organically styled development that has been compared by various witnesses to several things, including ‘a boat coming out of the ground’ and ‘a Viking helmet’. 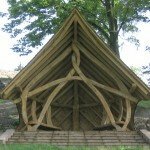 Based on mortice and tenon joints, the external oak shelter is carved from curved timbers that have been worked into a ‘living woven frame’, which mimics the effect of trees having grown intertwined with each other. 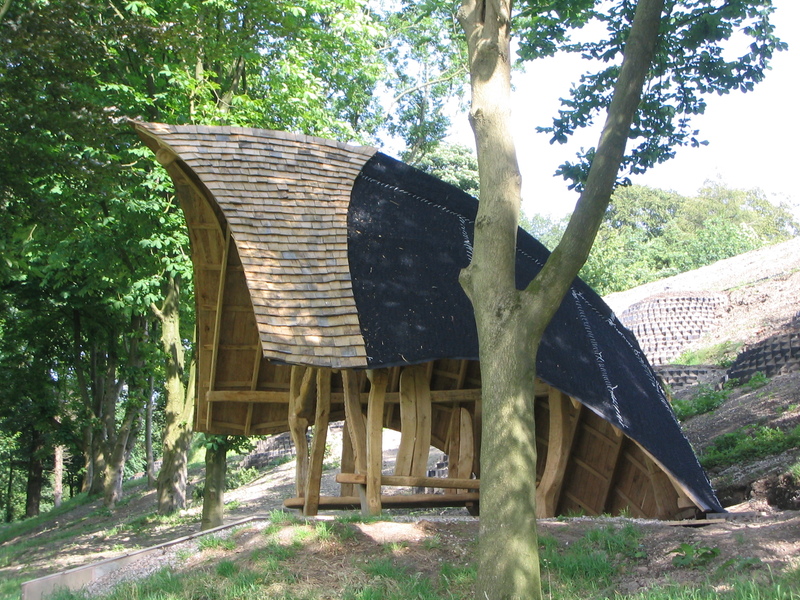 The rear of the shelter rises from the ground into a green roof covered in a carpet plant called Sedum. 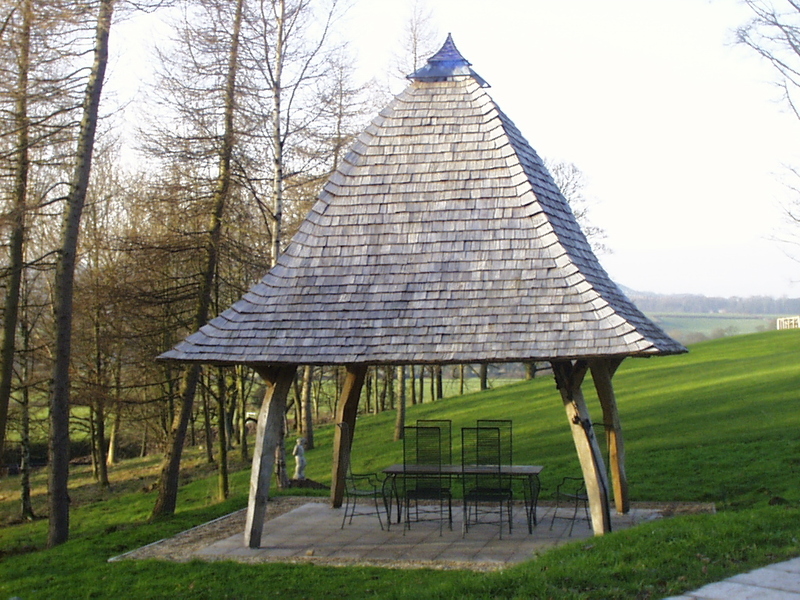 Near the top this covering gives way to cleft oak shingles. 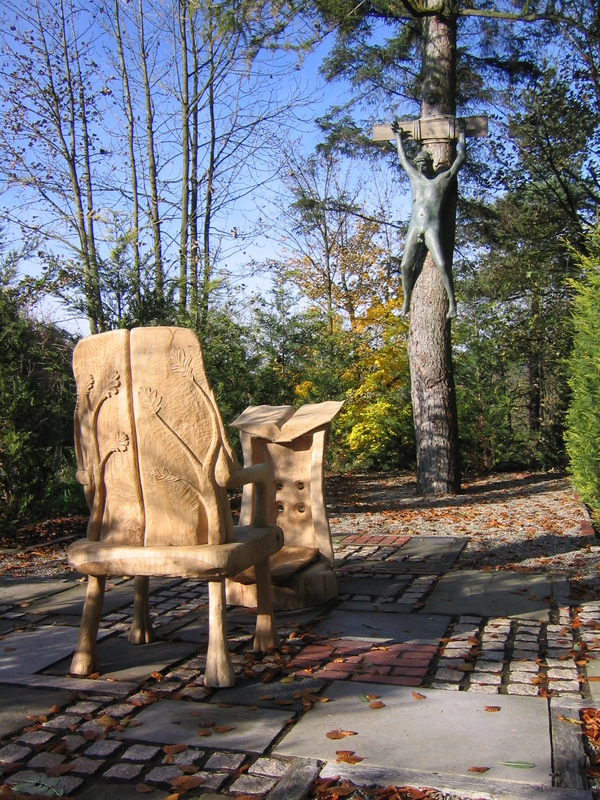 The front and sides are open. 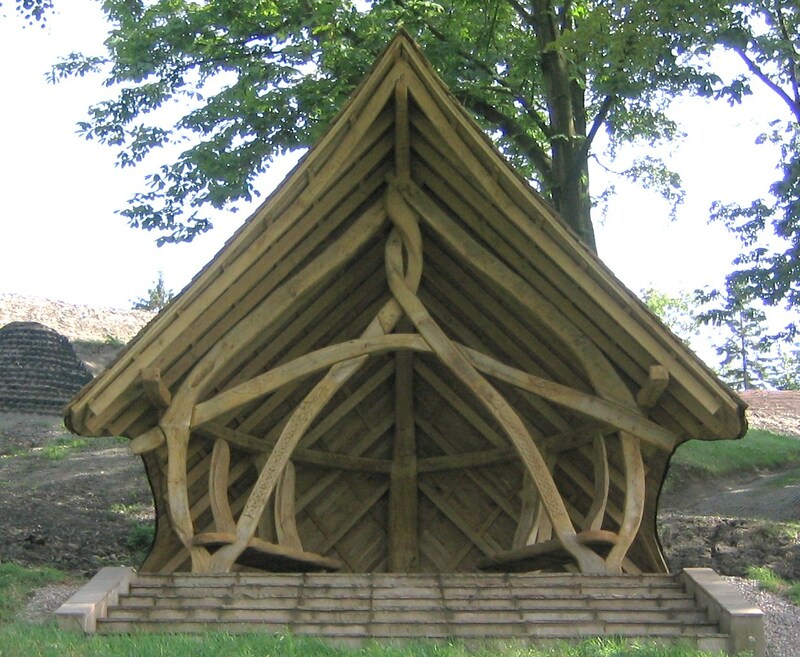 Six ergonomically shaped oak seats are built into the shelter and face outwards offering views across the lake. 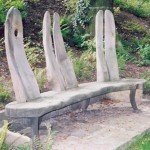 These are surprisingly comfortable for non-cushioned seats, with visitors having been known to nod off while sitting in them. 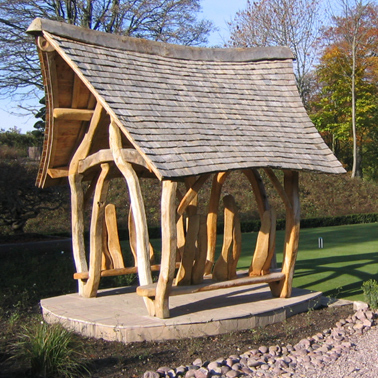 Including the first and last shelters installed in the grounds, Althams Oak’s craftsmen completed five shelters, a moveable insulated oak cover for a 12-person outdoor Jacuzzi, three bridges, a chair, a pre dieu and entrance arch for an outdoor chapel, a love seat, a large decking area cantilevered over a stream, plus a series of one, two and three person free-standing oak ergonomic seats. 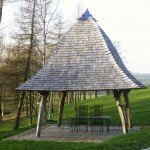 The client’s appreciation for hand-crafted carpentry and each beautiful garden structure was evident in the number of repeat commissions, which only halted when space for new installations in the grounds ran out.